Available as a digital download. 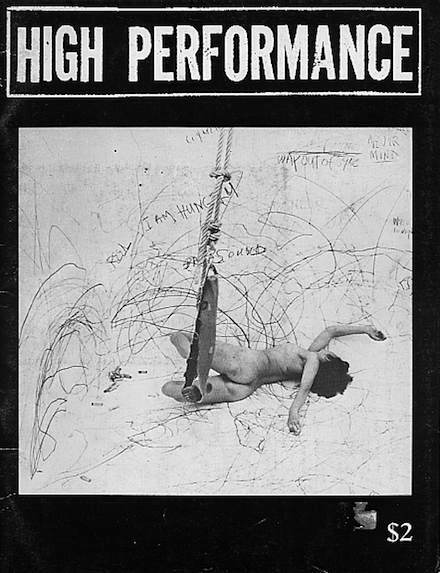 Featured: Carolee Schneemann, Bob & Bob, Donna Henes. Poetry by Peter Frank. The Death of Close Radio. 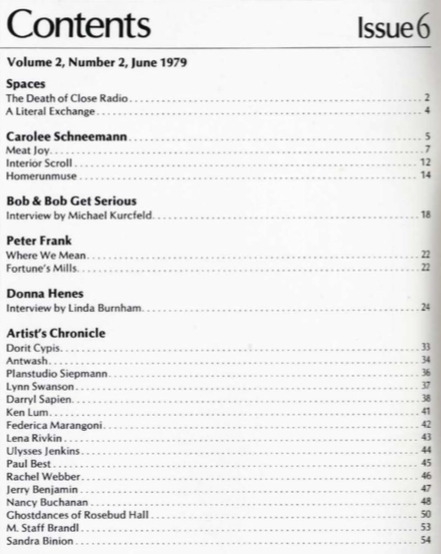 Artist’s Chronicle: Dorit Cypris, Antwash, Planstudio Siepmann, Darryl Sapien, Ken Lum, Federica Marangoni, Ulysses Jenkins, Nancy Buchanan, M. Staff Brandl, Sandra Binion and more.